The North Face Men's Nylon Shorts size M Green Drawstring Running. Condition is Pre-owned. Shipped with USPS First Class Package. The North Face Nylon Cargo Shorts Mens Large. Condition is Excellent Pre-owned. The North Face Men's Blue Active Workout Shorts Trunks MEDIUM M Free Ship!. Condition is Pre-owned. Shipped with USPS First Class Package. Very well made men’s size 32 shorts!! Just outgrew them before I could wear them.. not worn much at all..Mens North Face Shorts 32. Condition is Pre-owned. Shipped with USPS Priority Mail. The North Face Mens Shorts 34 . Condition is Pre-owned. Two pairs (Brown and Khaki) are cargo shorts with a cotton / poly balistic fabric. The second set are khaki flat front with a small rear side pocket. All four pairs are GREAT Shorts. all have 10.5 inch inseam. 100% polyester. Top waist to bottom leg seam: 21 in. north face shorts Lg. Shipped with USPS First Class Package. The North Face Men’s size 36 regular camoflauge cargo shorts NWT. Condition is New with tags. Shipped with USPS Priority Mail. 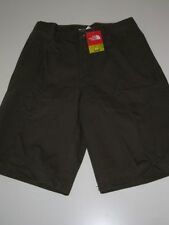 New ListingTHE NORTH FACE CARGO SHORTS MEN'S LARGE NICE! For sale is a pair of North Face Cargo shorts in a size large. Flat front. Colors may differ slightly due to lighting. Material: Nylon. Length: 22". Color/Wash: Dark beige. Mens Xl The North Face Shorts Euc. Condition is Pre-owned. Shipped with USPS Priority Mail. Euc no rips stains picks pills or tears. Please see pictures for measurements. You are bidding on a excellent used condition vintage North Face Hiking Paddling River Shorts. Size is a men’s Medium. Awesome retro 90s Shorts! Color is a bluish-grey. Machine wash. MODERN CARGO STYLE. FREEDOM TO MOVE. REST IS YOUR RESPONSIBILITY! Zip pocket at left leg for secure storage and a clean finish. Color: Vanadis Grey. WE ARE LOCATED IN ARIZONA. THEREFORE EVERY ITEM IS AUTHENTIC AND WE HAVE ALL INVOICES KEPT ON OUR RECORDS TO PROVE IT. Mens The North Face Cargo Shorts Size L Charcoal Lightweight Hiking Trail. Condition is Pre-owned. Shipped fast with USPS Priority Mail. Men's Medium The North Face 100% nylon beige hiking shorts w/ cargo -EUC! They are made of comfortable blend of durable 100% nylon fabric with a semi-elastic waistband that stretches slightly from 30" to 32" and a pant leg outseam length of 21" with an inseam of 10". They feature three front/side pockets and two rear pockets as well as two lower cargo pockets. Lightweight, stretchy fabric. Note that there may be color shade and hue variances due to different monitors. from THE NORTH FACE. 100% polyester. 2 side seam pockets. I do my best to resolve all issues! 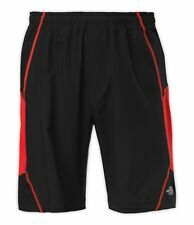 North Face Shorts Black Small. Up for auction are these The North Face Men's Shorts, 34 Long. Condition is Good Pre-owned. Classy looking shorts. winning bidder please pay with PayPal within 3 days Shipped with USPS First Class Package (2 to 3 business days) $4.75. We combine shipping. 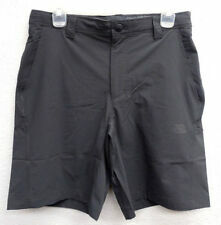 The North Face Rainer Shorts Mens Size 38. Condition is Excellent Pre-owned. Men’s North Face Shorts M. Condition is Pre-owned. Shipped with USPS First Class Package. 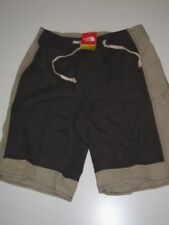 Men’s The North Face Red Belted & Lined Swim Shorts Hiking Outdoor Size Small Good condition. Light wear. THE NORTH FACE Casual Sport Shorts Lounge Sweatpants Sweat Pants. Drawstring waistband. Grab an excellent deal here. A picture is worth a thousand words. Great Rare Shorts! North Face Men’s Beige Tan Cargo Fishing Hiking Shorts Size Small x 9 * Excellent used condition with no stains holes rips or tears. Measures 14 inches flat across waist and about 28 inches around but waist has elasticity. Outseam measures 20 inches. Inseam measures 9 inches. *BUY 3 or more items and Priority shipping is free for all USA buyers! *If you have additional questions please ask I typically answer in a timely manner. HASSLE FREE RETURNS! Don't miss out on this great item from a flawless seller! Get your item fast! We ship the next day! Thank you for your interest in our listing and HAPPY EBAYING! mens north face shorts 32 Grey Euc. Condition is Pre-owned. Shipped with USPS Priority Mail. Euc no rips stains picks pills or tears. Please see pictures for measurements. We Source the BEST we can find locally and share The Treasures we find with the rest of the world. Typically if we find a defect (hole, permanent stains, etc,) we discard them. On RARE Occasions things get by us. THE NORTH FACE MEN'S REACTOR SHORTS (4 COLOURS AVAILABLE, SIZES VARY) 40% OFF! !